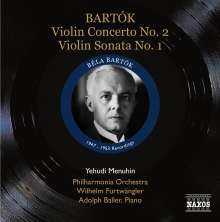 Yehudi Menuhin commissioned and gave the first performance of Bartók's Sonata for Solo Violin and was an influential advocate of his music. 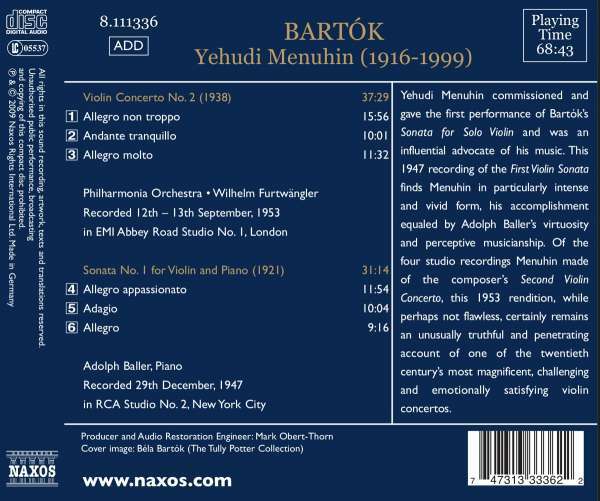 This 1947 recording of the First Violin Sonata finds Menuhin in particularly intense and vivid form, his accomplishment equaled by Adolph Baller's virtuosity and perceptive musicianship. 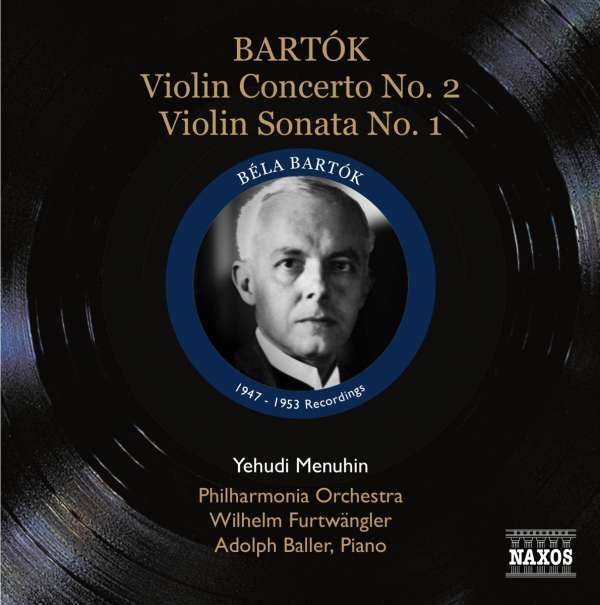 Of the four studio recordings Menuhin made of the composer's Second Violin Concerto, this 1953 rendition, while perhaps not flawless, certainly remains an unusually truthful and penetrating account of one of the twentieth century's most magnificent, challenging and emotionally satisfying violin concertos.